It was a very low fire indeed; nothing on such a bitter night. He was obliged to sit close to it, and brood over it, before he could extract the least sensation of warmth from such a handful of fuel. The fireplace was an old one, built by some Dutch merchant long ago, and paved all round with quaint Dutch tiles, designed to illustrate the Scriptures. There were Cains and Abels, Pharaohs’ daughters; Queens of Sheba, Angelic messengers descending through the air on clouds like feather-beds, Abrahams, Belshazzars, Apostles putting off to sea in butter-boats, hundreds of figures to attract his thoughts — and yet that face of Marley, seven years dead, came like the ancient Prophet’s rod, and swallowed up the whole. If each smooth tile had been a blank at first, with power to shape some picture on its surface from the disjointed fragments of his thoughts, there would have been a copy of old Marley’s head on every one. `Humbug!’ said Scrooge; and walked across the room. This might have lasted half a minute, or a minute, but it seemed an hour. The bells ceased as they had begun, together. They were succeeded by a clanking noise, deep down below; as if some person were dragging a heavy chain over the casks in the wine merchant’s cellar. 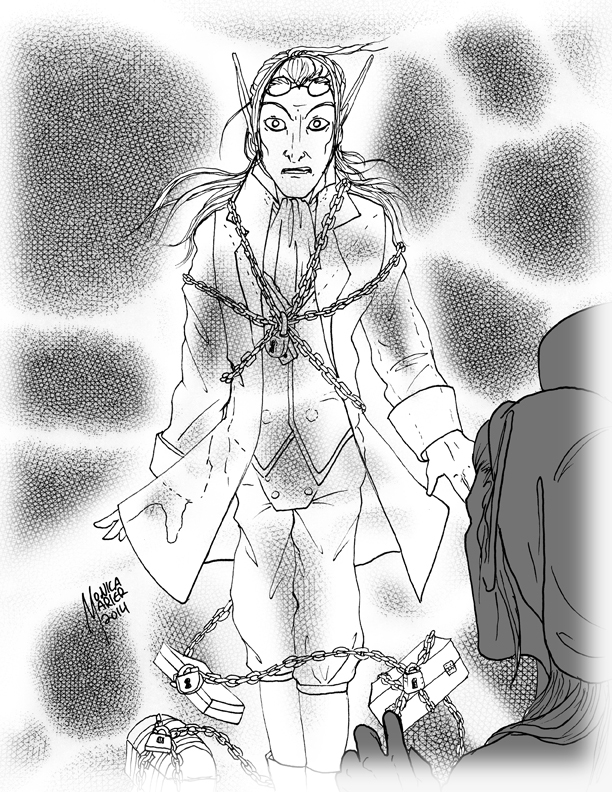 Scrooge then remembered to have heard that ghosts in haunted houses were described as dragging chains. His colour changed though, when, without a pause, it came on through the heavy door, and passed into the room before his eyes. Upon its coming in, the dying flame leaped up, as though it cried `I know him; Marley’s Ghost!’ and fell again. `Much!’ — Marley’s voice, no doubt about it. `Who were you then?’ said Scrooge, raising his voice. `You’re particular, for a shade.’ He was going to say `to a shade,’ but substituted this, as more appropriate. `Can you — can you sit down?’ asked Scrooge, looking doubtfully at him. `You don’t believe in me,’ observed the Ghost. `I don’t know,’ said Scrooge. `You see this toothpick?’ said Scrooge, returning quickly to the charge, for the reason just assigned; and wishing, though it were only for a second, to divert the vision’s stony gaze from himself. `I do,’ replied the Ghost. `You are not looking at it,’ said Scrooge.